This Valentine’s Day, one of the most romantic venues in the winelands, Lanzerac Hotel & Spa, will be rolling out the red carpet for couples wanting to celebrate their love by providing romantic dining experiences at its various eateries. 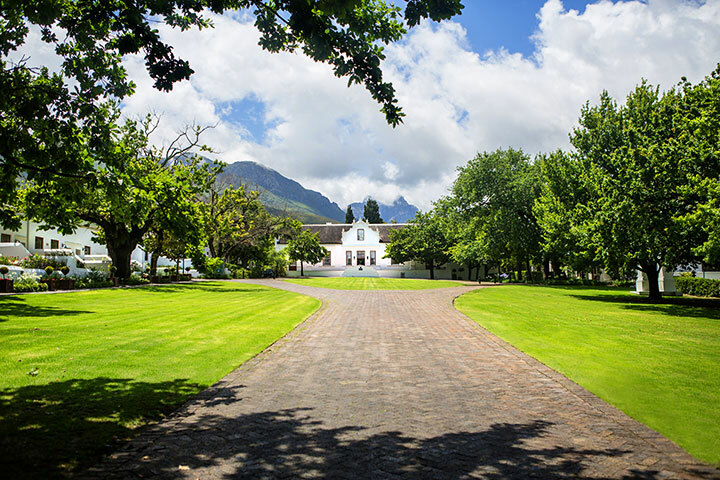 With the choice of a four-course fine dining experience, a relaxed, intimate evening or just casual drinks and canapes, a night of romance, opulent luxury and old world charm awaits at the 327-year old wine estate located in the Jonkershoek Valley. Guests can enjoy an intimate evening together in the newly restored fine dining venue whilst indulging in exquisite food from Lanzerac Executive Chef, Stephen Fraser’s four-course set menu. The starter will comprise of beetroot and lime cured salmon, served with fresh apple, horseradish, and pomegranate caviar. This will be followed by a watermelon gazpacho with marinated tomato salad, fresh oysters and cannellini cream. For the mains, diners can choose between an aromatic seared duck breast with apricot, pak choi and cherry jus, or pan-fried kabeljou with avocado, Alaskan crab and lemongrass sauce. Both options are served with a mélange of seasonal sides, inspired by local producers. The pièce de résistance will be the summer berry plate dessert for sharing, which includes raspberry coconut curd, rose macaroon and fresh berry mousse. Chef Fraser’s cuisine will be complemented by the estate’s award-winning wines, including a complimentary glass of MCC on arrival. All this will be enjoyed within a romantic setting complete with crystal chandeliers overhead, an imposing fireplace, Cape-Dutch style doors, plush furnishings and exposed brick walls and granite tiles harking back to the building’s history as a cellar. Adding to the dreamy ambiance will be a plethora of roses and candles. Couples can take advantage of this offer at a cost of R595 per person. For a less formal evening out, there’s dining beneath the Manor Kitchen’s striking stained glass roof and within the confines of its large sash windows that let in the night. Guests will get to enjoy classic dishes that have been reimagined with a romantic twist from the a la carte menu. When not staring into each other’s’ eyes, diners can take a peek into the kitchen, which used to be an old distillery, and feel part of the creative culinary process. A more casual celebration can be enjoyed in the Taphuis which serves gourmet pub-style dishes that are perfect for sharing. Guests can also toast to each other in the Craven Lounge with its extensive selection of the finest local and international spirits, carefully curated wine list and wide range of craft beers. With a relaxed environment, it is the perfect spot for pre-dinner drinks and canapés. Make a booking for a Valentine’s Day to remember by calling 021 887 1132 or emailing [email protected]. For more information, go to www.lanzerac.co.za.